I thought I’d throw in a couple detail images of the #124. 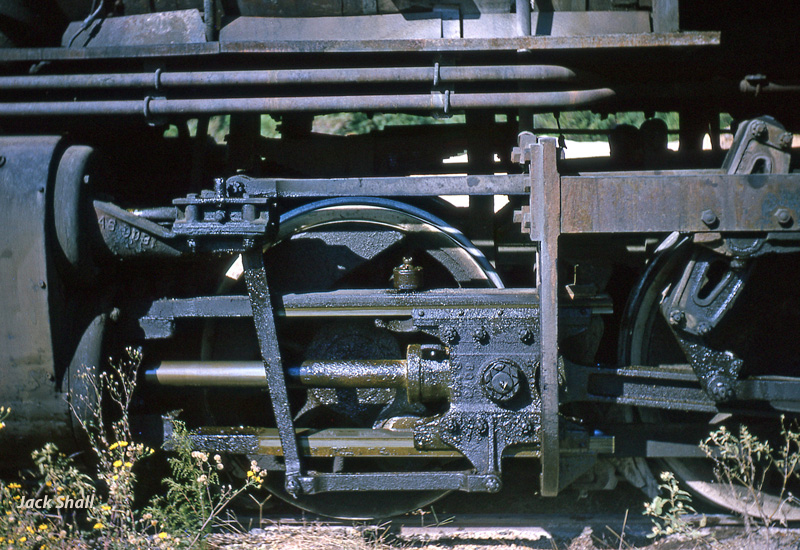 In this closeup of the steamer’s running gear we see the piston rod, and the crosshead and guide, along with the main rod which connects to the number three driver. It’s been a long time since this old girl has seen a steam/hot water bath, much less a paint job! And here slightly right of center, we see the details of the water injector, along with the upper section of the air pump, below left. 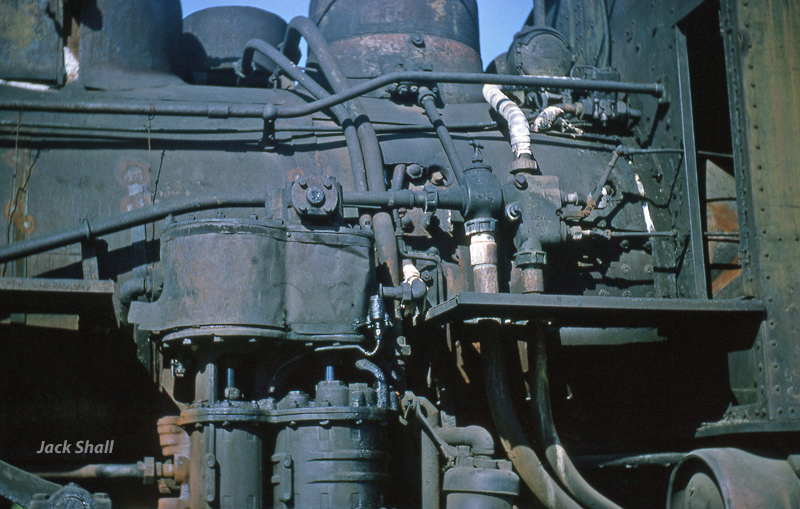 At the top right (just in front of the cab) is the dynamo (the steam driven electrical generator). As bad as she looks, she is still functional. I’m enjoying these photos, Jack. Thanks.